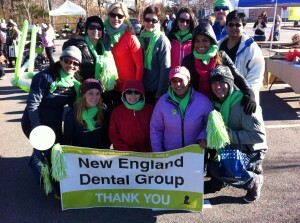 New England Dental Group is involved in a number of charitable activities and is committed to causes that help and enrich our communities. The following examples are just a few of the ways in which we are giving back! 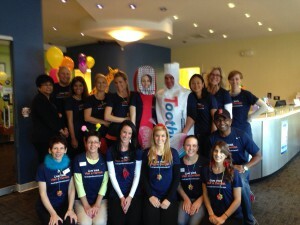 Designed to help children with no dental insurance or the means to receive appropriate oral care, we participated in this program on October 11, 2013, with 40 volunteers. We helped kids conquer their fear of going to the dentist, did preventative services including cleanings, x-rays, examinations, oral cancer screenings, oral hygiene instruction, and home care education, and educated children, parents, and caregivers on the essential link between a healthy mouth and a healthy body. According to the American Dental Association, about 450,000 children nationally benefit from this event! This program gave us the chance to help adults and children with no dental insurance or means to receive appropriate care. On October 13, 2012, 50 volunteers saw 72 patients, providing treatments including cleanings, x-rays, examinations, oral cancer screenings, oral hygiene instruction, home care education, extractions, and fillings. It costs $1.9 million daily to operate St. Jude’s, and public contributions provide approximately 75% of the funds necessary to do so. No child pays for care or other needs not covered by insurance, including housing, food, and transportation. On November 23, 2013, the whole team was proud to raise funds for this wonderful institution by participating in the “Saint Jude Give thanks. 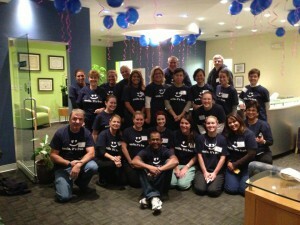 Walk.” program, helping the Greater Boston area raise $90,206. Formerly known as ACCESS, uAspire helps make sure that young people have the financial information and resources necessary to find an affordable path to — and through — a post-secondary education. The organization works with students and their families from middle school through college graduation, making sure that finances don’t get in the way of potential. 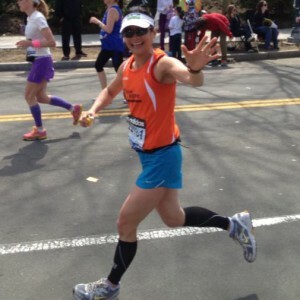 Dr. Minna Kim ran and finished the 2013 Boston Marathon, raising $1,000 for this worthy cause. “Be Like Brit” operates an orphanage in Grand Goave, Haiti, in loving memory of Britney Gengel, who perished in the 2010 Haitian earthquake while on a service trip. The organization honors Britney’s memory and compassion, and was inspired by a text message she sent to her mother just 3 hours before the earthquake claimed her life: “They love us so much and everyone is so happy. They love what they have and they work so hard to get nowhere, yet they are all so appreciative. I want to move here and start an orphanage myself.” On what would have been Brit’s 23rd birthday, the new orphanage welcomed its first child. Today, the orphanage is home to 35 children, and employs more than 40 full-time employees. We are proud to support this wonderful place! A leading Massachusetts child welfare, behavioral health and education agency, Y.O.U. Inc. offers specialized services at 32 different sites in Worcester County, with a comprehensive array of educational, vocational, therapeutic, and residential programs serving more than 13,000 young people and their families each year. It is our privilege to support this worthy endeavor. 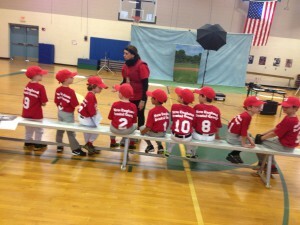 SLL provides 400 boys and girls ages 4-15 with the opportunity to learn and develop their baseball skills in an all-inclusive spring program that aims to provide a fun and exciting youth sports experience for players of all abilities. A chartered member of Little League Baseball, SLL works to perpetuate the values of fair play and sportsmanship… values we’re happy to support! The idea is simple: after Halloween, we swap free movie tickets for the candy kids have collected. The candy is shipped to U.S. military troops in harm’s way. “It’s a triple-win situation,” says practice owner Dr. Margarita Panajoti. 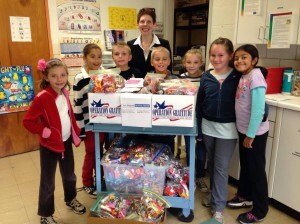 “We say thanks to our troops, keep kids from harmful sugar consumption, and treat them to a movie!” On November 4, 2013, we collected 300 pounds of candy! If you would like more information, please contact New England Dental Group today.